All About Purrs is dedicated to caring for cats. We love cats and we are passionate about their health and happiness. We are committed to improving the well-being of felines through information sharing and care assistance. 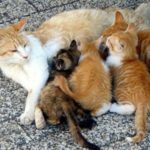 Our charity focus involves contributing resources to cat welfare organizations that provide foster care while seeking forever homes for abandoned cats and to groups promoting TNR work in our communities. We offer professional and compassionate in-your-home cat sitting services to fellow cat lovers and those rescuing felines in the community. All sitters are carefully screened, trained, background cleared, insured and bonded. We share information, give recommendations and provide support on a variety of feline care topics to cat guardians. Our purpose is to help more kitties live long, happy and healthy lives. We support cat welfare organizations and TNR efforts as part of our mission. 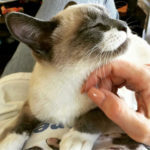 All commissions from affiliate programs and a portion of each cat sitting visit fee is donated to help a kitty in need. We effectively use social media to network resources in support of these efforts. Our service is provided in your home where your cat is the most comfortable and feels the safest while you are away. This reduces stress and any unnecessary disease exposure from being boarded with other animals. No stressful travel to a boarding facility required either. We provide fresh food and water, clean litter boxes, playtime, brushing and LOTS of LOVE during each visit. We cat sit because we love spending time with cats. Each visit includes home care as well. We bring in your newspaper, mail, trash bins, etc. If you wish, we will alternate blinds and lights for home security. And, although we don’t have green thumbs, we will make every attempt to keep your household plants alive as well. We also provide special needs care, such as, medication administration, insulin injections, subcutaneous fluids, etc. as needed. Lisa was absolutely great with our 5 cats. She is a thorough professional and provided us with daily updates (pictures & videos) via text messages. She is very compassionate and knows how to win a cat’s trust & friendship, which we all know is not easy. One of our cats is very fussy about eating, and must eat out of a human hand, one that she trusts. Lisa managed to get friendly with her and would feed her out her her own hand. We were very touched by her genuine love for cats. She is highly recommended by us as a pet sitter. We are extremely happy to have found her. Lisa developed a wonderful rapport with my cat and I returned to find a happier animal than when I had left her for vacation. She has a real knack to creating a relationship with animals. The details of the service were made very clear during negotiations. Lisa seems experienced and thorough. There is a questionnaire to complete about the pet(s) being cared for to ensure that each pet’s needs are handled, and in case of emergency, options are available. Everything was carried out according to plan. I enjoyed the communication I received while I was away. I would be delighted to have Lisa care for my cat again. I had a senior cat with lymphoma and felt so stressed to leave her while I had a work conference. I looked through yelp and saw so many positive reviews for Lisa, and I was lucky enough to book her. Wow! It felt like my cat’s fairy godmother was visiting for the week. Lisa has a gentle and knowledgeable approach and made us feel at ease right away. Daily texts and photos, along with cute videos were so fun and made me feel good about my choice. And Lulu just loved her visits. The daily log/report card was super awesome too. Thank you Lisa! 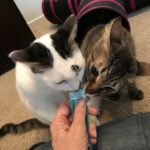 My partner and I went out of town for another weekend trip and once again Lisa provided exceptional care to our two kitty babies, Hunter & Snow. The picture and video text updates I receive when she visits reassures me that they are in great care. I just wanted to give Lisa another shoutout because she is the best and I am so grateful to have her help when we need it. She’s very kind hearted and genuine and we can tell that she loves our kitties just as much as we do. I’ve been using Lisa’s services for my cats for a couple of years now and she is the best pet sitter I have had. She even was able to charm one of my cats into actually coming out and getting pet while she was there. She’s always responsive to emails and questions and sends me at least one update a day when she is taking care of them. Highly recommend her and her company! I can’t even begin to tell you how impressed I was with what Lisa did while I was on vacation pet sitting my cats. And when I got home there was a daily report card which was very extensive. She has a client for life! This woman is nothing short of a saint. I went across the world for 10 days and she took such incredible care of my 2 kitties! She made me feel like she loved them just as much as I do!! She sent me the sweetest emails everyday along with videos and pictures. When I came back, my house was clean and my kittens were so happy! She is the only person I trust to take care of my babies when I’m away!!!!! Lisa is absolutely AMAZING!!! She is so wonderful with my cats. Her genuine love for animals is hard to find. She is a thorough professional. Recently, I found a stray cat and contacted Lisa for help. She went above and beyond in helping me find a home for the cat. She even helped me with medicines and treats, vet recommendations, and was actively spreading the word for adoption in her rescue/foster network. I am always traveling stress free knowing that my cats are in great hands with Lisa. She is always sending photos and videos of my cats, which I really appreciate. I want to thank her with all my heart for the outstanding care she provides for my cats. Lisa took care of Charlie (my cat) this past weekend. All I can say is WOW! This was my first time using cat sitting service. Lisa texted me and sent a video each day, she changed the litter box, and even left a detailed progress report when I arrived home. Charlie is a special needs cat and is usually stressed out when his family returns from a trip. Not this time-he was very calm and relaxed. Thank you, Lisa for making Charlie feel so safe and loved! Lisa is truly one of the most amazing pet sitters I’ve ever met and I’ve been through more than I could begin to keep track of… THE BEST. I wish she were my forever neighbor so I could always have the comfort and peace of mind of her services. She was wonderful and loving beyond expression to my beloved kitty Bailey, who sadly recently passed on. Bailey was a 16 yr old disabled special needs kitty that required a lot of gentle loving care and due to his condition I rarely ever stepped away from him the last 4 years of his life. Lisa gave me the confidence of being able to step away for a day or 2 occasionally and didn’t seem to be the least bit bothered with the amount of special care that he needed. She just took it all on with so much love as if it were all normal every-day kitty tasks for her own kitty. She was the only person I felt I could trust Bailey with considering his condition and I could tell by watching her with him that he felt the kindred spirit connection and appreciated her loving care too. looking for premium cat sitting services? Copyright © 2018 All About Purrs. All Rights Reserved. Disclaimer: The contents of this website are based upon the opinions of All About Purrs, LLC, unless otherwise noted. Individual articles are based upon the opinions of the respective author, who retains copyright as marked. The information on this website is not intended to replace a one-on-one relationship with a qualified veterinarian and is not intended as medical advice. 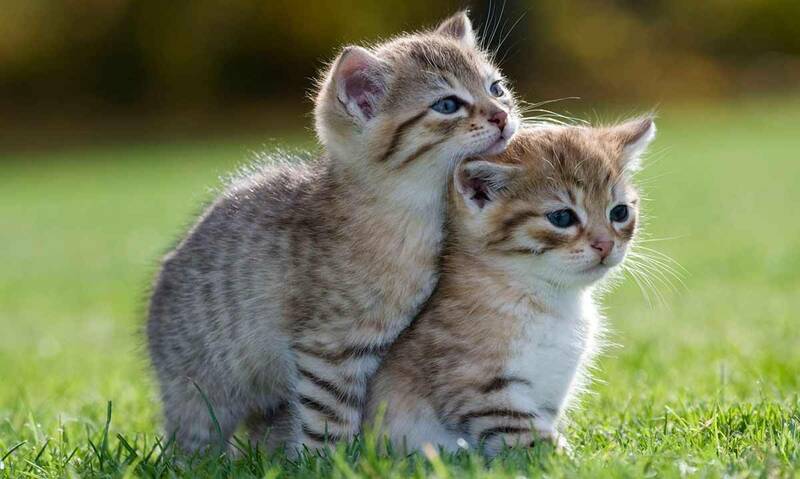 It is intended as a sharing of knowledge and information from the research and experience of All About Purrs, LLC through its many years of working with cats. All About Purrs encourages you to make your own pet care decisions based upon your research and in partnership with a qualified veterinarian.